This tour explores parameterization of 3D surfaces onto a sphere. Installing toolboxes and setting up the path. We use a simple minimization of the Dirichlet energy under spherical constraints. There is no theoritical guarantee, but for some meshes, it seems to work correctly. You need to download the following files: signal toolbox, general toolbox, graph toolbox and wavelet_meshes toolbox. You need to unzip these toolboxes in your working directory, so that you have toolbox_signal, toolbox_general, toolbox_graph and toolbox_wavelet_meshes in your directory. For Scilab user: you must replace the Matlab comment '%' by its Scilab counterpart '//'. Recommandation: You should create a text file named for instance numericaltour.sce (in Scilab) or numericaltour.m (in Matlab) to write all the Scilab/Matlab command you want to execute. Then, simply run exec('numericaltour.sce'); (in Scilab) or numericaltour; (in Matlab) to run the commands. Execute this line only if you are using Matlab. Then you can add the toolboxes to the path. We start by creating a smoothing operator. Compute the weights. The weights should be positive for the method to work. Compute the normalized weight matrix tW such that its rows sums to 1. 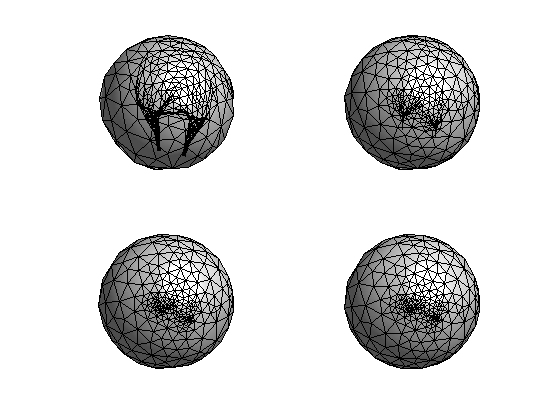 It is possible to smooth the positions of the mesh on the sphere by performing an averaging according to W, and projecting back on the sphere. Compute an initial mapping on the sphere. This simply a radial projection. Check which faces have the correct orientation. Ratio of inverted triangles. For a bijective mapping, there should not be any inverted triangle. 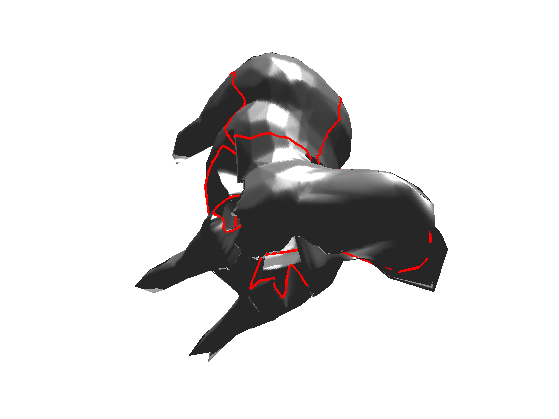 Exercice 1: (check the solution) Perform iterative smoothing and projection. Record the evolution of the number of inverted triangle in ninvert. Record also the evolution of the Dirichlet energy in Edir. Display the decay of the evolution of the Dirichlet energy. Display the evolution of the number of inverted triangles. 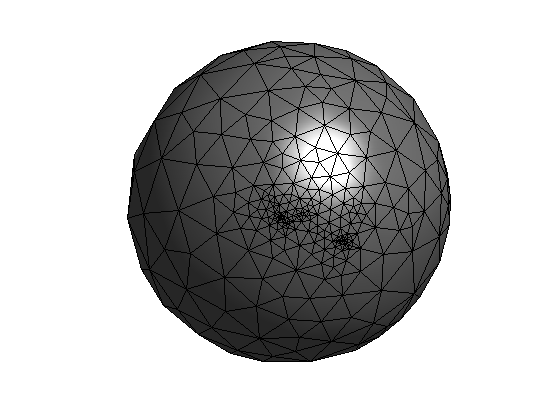 Using this spherical parameterization, one maps the surface on a sphere, then on an octahedron, and finally on a square. 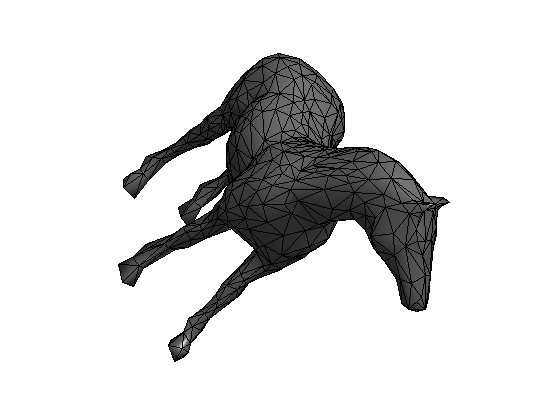 This allows to map the surface on a 2D image, thus creating a geometry image. Display the spherical geometry image. 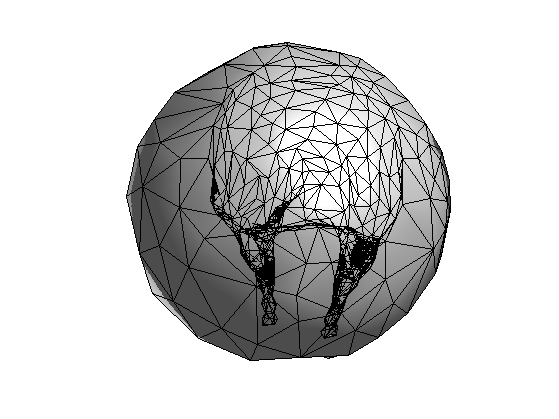 By mapping two meshes on the same sphere, one computes a bijection between two meshes. By linearly interpolating the positions of the points that are in correspondance, one performs a warp of a mesh onto another one. Exercice 2: (check the solution) Implement the mesh morphing. Spherical relaxation leads to an uncontrolled evolution because triangle are not constrained in size. To avoid this, it is possible to penalize the size of large triangle. Unconstrained Spherical Parameterization Ilja Friedel, Peter Schröder, and Mathieu Desbrun Journal of Graphics Tools, 12(1), pp. 17-26, 2007. 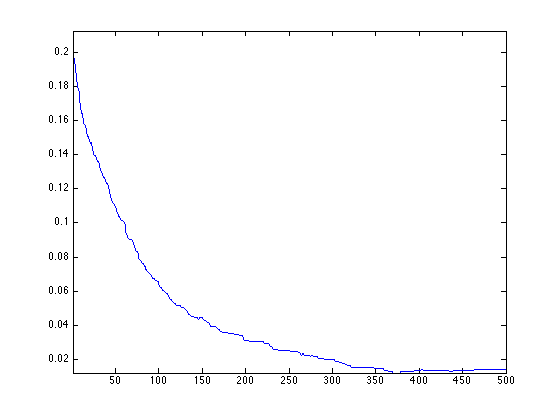 First initialize the gradient descent. 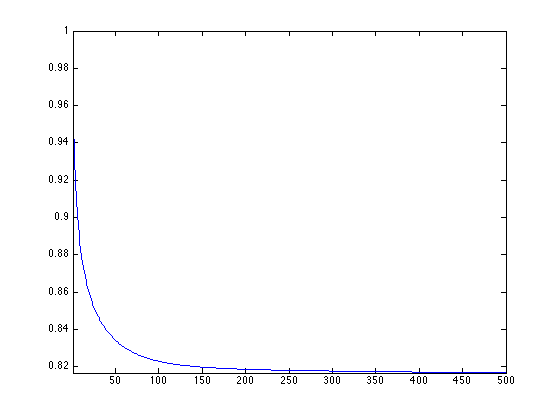 Step size for the gradient descent. Compute the center of the faces. Compute the Dirichlet energy of each face. Perform the gradient descent step and the projection. Exercice 3: (check the solution) Perform the full descent. Record the decay of the energy in Edir. 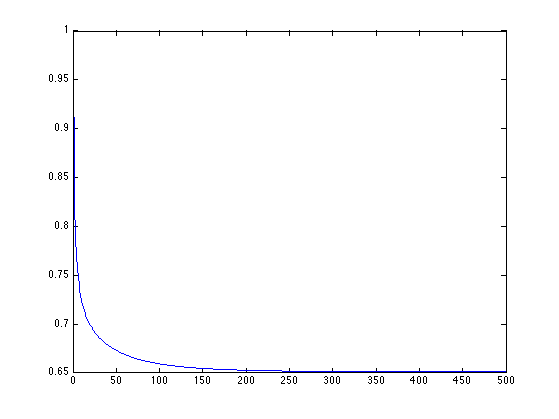 Plot the decay of the energy.